What do you do when your floral tastes could be described as a champagne taste on a beer budget? You take the cheap flowers and get creative. 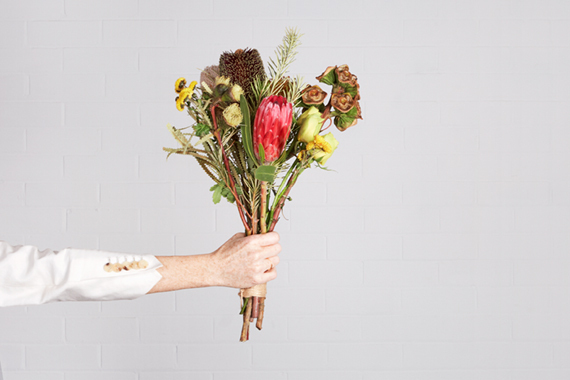 We’ve got some great tips that will help you turn your $10 bouquet into a $50 looking display! Whether you’re grabbing your flowers from the cheaper rack at a florist, during your fruit and veggie shop, or you’re at the supermarket, there are a few things to look for. The flowers you buy will form the centre of your final arrangement- think of them as your signature flowers. So, you need to select them relatively carefully- even though you’re not spending much money. Go for flowers with long stems. You might not have a lot to work with in the budget selection, but, depending on the season consider Roses, Gerberas, Hydrangeas, Lilies, Statice, Proteas, or Sunflowers. Look for blooms that are slightly closed, as this means you’ll get a little longer out of your bouquet. Alternatively choose flowers like Statice or Proteas which are known for being long-lasting. If your budget will stretch to two bunches, choose a complementary colour or shade. If you, or your neighbour, has a garden you can pilfer a few stems of ‘filler’ from, great. Otherwise, shop for this with your flowers. You’re looking for long-stemmed greenery that will bulk out your bunch. The shop should have a selection of leaves including ferns, tropical leaves, and what can only be called foliage. Look for something that will work with the size of your signature flowers, and provide a nice complement or contrast. 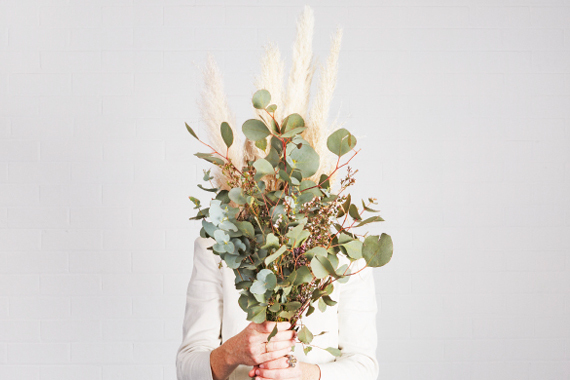 Our favourite tip- choosing an aromatic option like Eucalyptus has the added bonus of perfuming your house! The vase you use isn’t just decorative, it’s got to support the weight and shape of your bouquet. Think of it as your styling assistant. Glass vases are the usual choice, but an opaque option gives you the freedom to press some additional help into action. For years, florists used floral foam to hold their displays in place. Turns out this is very bad for the environment. If you want some extra support for your creation, consider Blu-Tack, balled up chicken wire, or adding small stones to the bottom of the vase.